The main difference between these two dental professions is that orthodontists have spent two to three years of additional study, focusing on the speciality of orthodontics. Both orthodontists and dentists have a Bachelor of Dentistry, but an orthodontist will also have a Master in Orthodontics. If you want to improve the look and feel of your smile, then any age can be a great age to see the orthodontist. Orthodontic treatment is not exclusive to children and teens, with about one in every four orthodontic patients being over the age of 21. Whether you're considering treatment for yourself or for a child, any time is a good time to visit the orthodontist. Is orthodontic treatment suitable for children? Yes, in fact the Australian Society of Orthodontists recommends children have an orthodontic consultation by the age of seven. Although it's unlikely treatment will be necessary at this age, it is better to be seen too soon, than too late - preventative monitoring and intervention at the correct time is better than corrective orthodontics later. Orthodontic treatment has come a long way in recent years. New technology allows us to use lighter forces to move the teeth - now, the only discomfort you can expect the braces to cause will be for a few days after they are placed and after each adjustment. These adjustments will make you more conscious of your teeth, but they should not be painful. Today’s braces are smaller, more comfortable and use technology that radically reduces the discomfort. Most orthodontic treatment will take between two to three years; however, there are also faster options available, such as Invisalign Lite, which can get results in as little as three months. When being treated with braces you should brush your teeth for 5 minutes at least twice a day, to ensure that food doesn’t get caught between your teeth and the brackets. 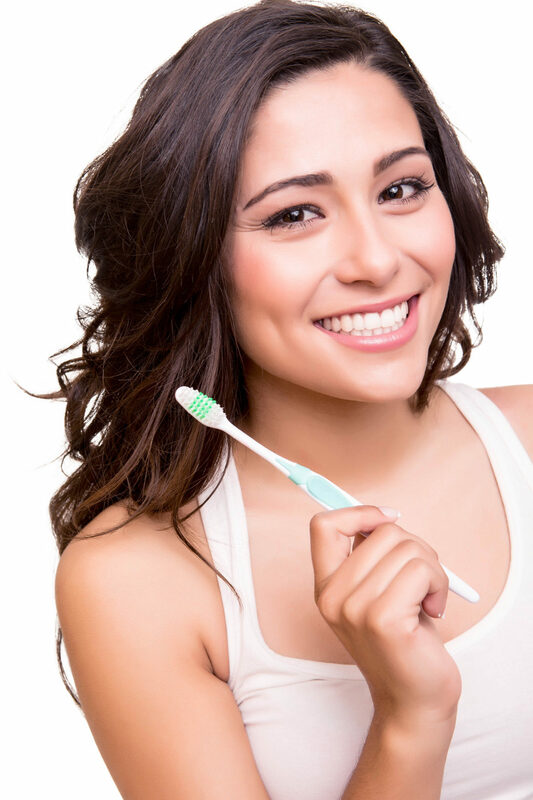 Brushing doesn't necessarily need to happen more often, however you will need to allow more time. All of these activities just take a little getting used to but shouldn’t be affected at all - we always tailor your treatment plan to ensure your appliances will not interfere with your hobbies. We do recommend during contact sport you wear a mouth guard. Yes! Visiting your dentist actually becomes more crucial when undergoing orthodontic treatment. If your oral hygiene is not properly maintained during treatment, then bacteria can build up and cause cavities, gingivitis or infection. Will my teeth stay straight after the braces come off? We plan tooth movements to be as stable as possible, however the nature of tooth stability is incompletely understood. Teeth can drift out of position again, due to ‘elastic recoil’ of the gums, continuing facial growth or unbalanced natural forces from the facial muscles. Retainers are used to keep your smile as fantastic as the day your braces come off. Can my wisdom teeth erupting make my teeth crooked? It’s easy to understand why so many people think wisdom teeth can cause crowding of the other teeth, but there is now a pretty large body of evidence that disproves that theory. Studies have shown that teeth will drift throughout life naturally, whether the wisdom teeth are present or have been extracted. Even in people who have had all their wisdom teeth removed, teeth drift forward slightly over time, but as long as you have fixed retention your teeth will stay in the position we have put them in.